Bad guys, beware: There's a new cop in town - and she's as talented as she is adorable. 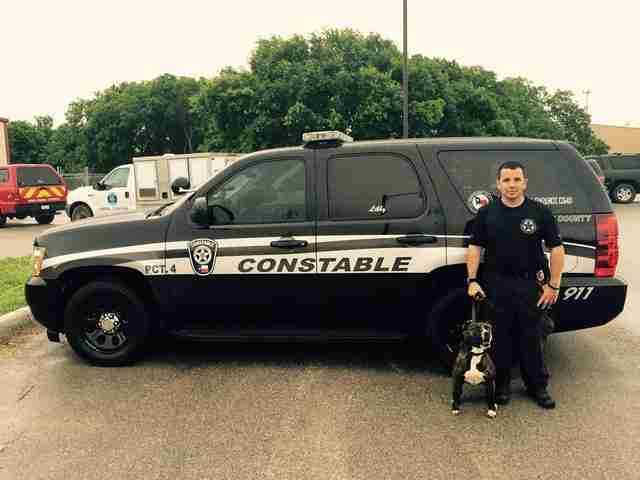 Meet K9 officer Libby, the newest member of the Montgomery County Constable's Narcotics team in Texas. 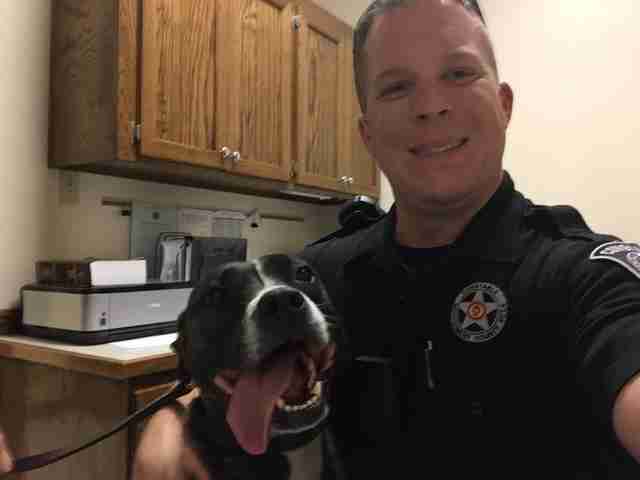 It was only recently that she completed her training, but the lovable pit bull is already proving herself to be an invaluable member of the force. On Monday, Libby made her first big bust. Working alongside her human partners in a raid on a drug house, she helped uncover evidence needed to put a dangerous criminal behind bars. 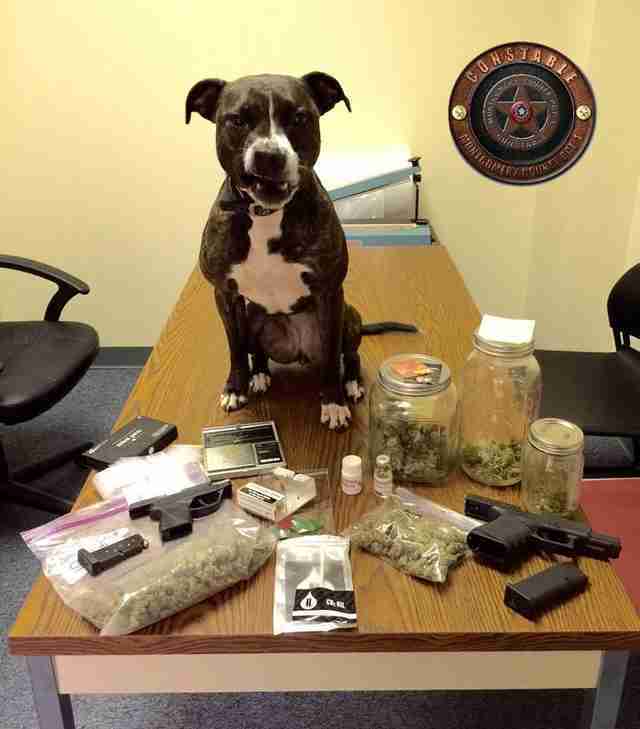 "Inside the house, K9 Libby alerted on a small cabinet that contained marijuana. 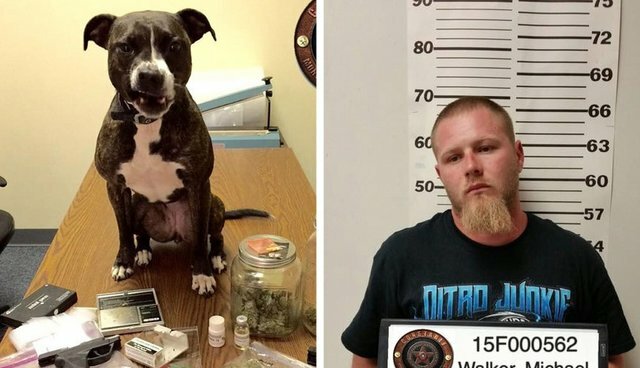 On top of the cabinet was an unlocked safe that contained hashish oil, steroids, marijuana candy and cookies, dangerous drugs and 2 loaded pistols," Libby's colleagues wrote on Facebook. "The homeowner was charged with 4 third degree felonies." Afterward, the proud K9 posed in a picture with what she uncovered, putting on her best snarly face (to show she means business, of course). Although Libby's been described as a "rock star" at her new job sniffing out narcotics for the police, her talents almost went unrealized. In fact, she almost died before her sweet personality could be appreciated. When she was just a puppy, Libby was among a litter of unwanted pit bulls who were turned over to a crowded animal shelter to join countless other creatures hoping to be adopted. Sadly, each of her siblings was put down - but Libby was saved by a foster parent just days before she was to be euthanized too, as the Huffington Post reports. Libby, now safe, would soon find more than a home - she found a purpose. 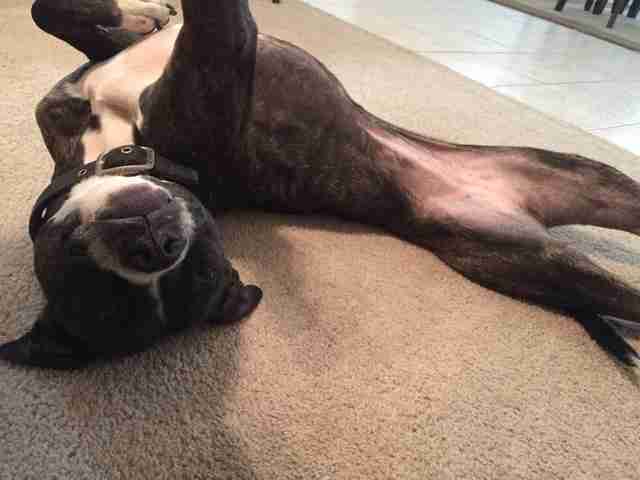 While still in foster care, a pit bull advocate heard about her story and wanted to help. She pitched in to pay for Libby to go to a school that teaches dogs to be members of law enforcement. There, her playful spirit and task-oriented nature impressed her trainer, who saw her as a perfect fit for the role of a drug detection dog. Libby was eventually paired with a Montgomery County deputy, who, in addition to being her partner in law enforcement, also adopted her into his family. She's been on the job for only a few days now, but Libby has already shown what good can come when even an overlooked shelter dog is given a chance to prove her worth.